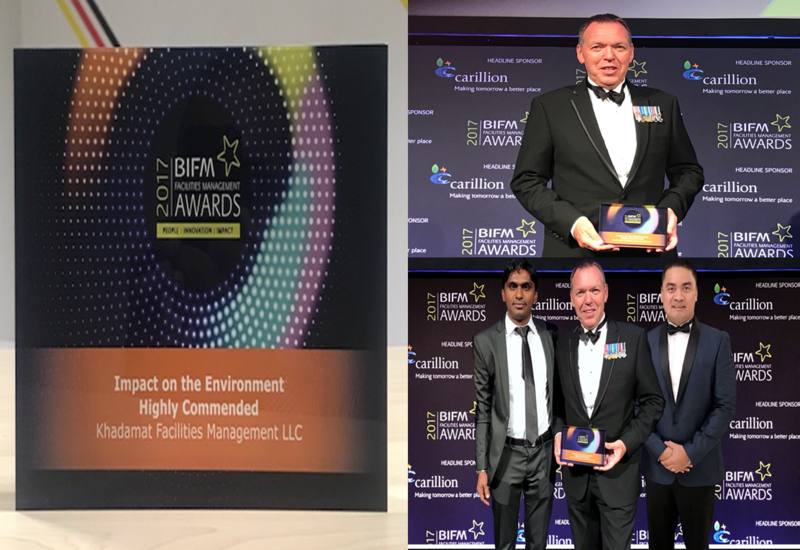 Khadamat Facilities Management was presented with a Highly Commended award under category of Impact on the Environment at the prestigious BIFM awards ceremony in London recently. This award is a huge achievement for our Company, not only by being the only company in the region to reach the final stages but, also in securing such a prestigious recognition. Our commitment to sustainability will continue in our quest to be a leader in this field and in support of UAE Government Objectives.